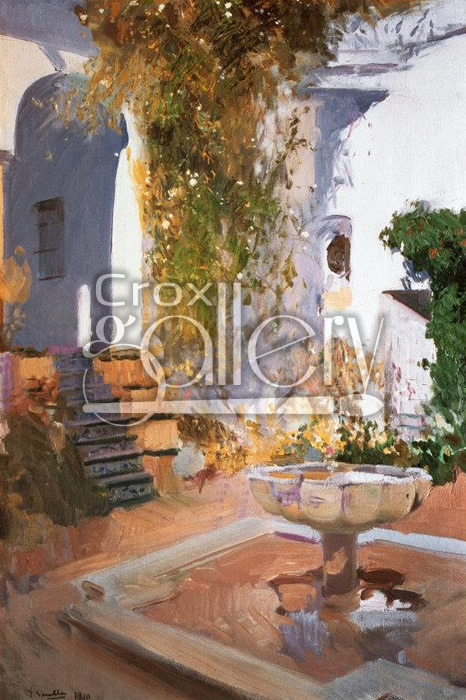 "Seville Garden Grotto" by Sorolla, Spanish Landscape Painting. 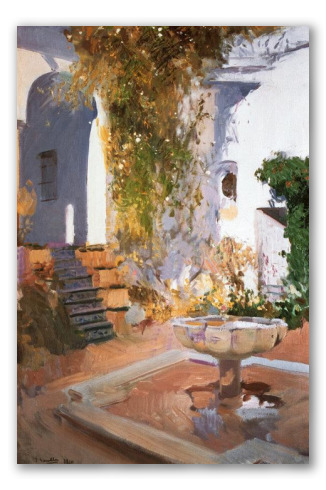 This Impressionist painting by Joaquin Sorolla y Bastida is a masterpiece that shows part of a garden in the area surrounding the Alcazar in Seville. This beautiful painting shows with clarity the enthusiasm of the artist in his painting style.